Disclaimer: I was provided a product from Airborne through Smiley360.com in order to facilitate this review on The Eclectic Element. All opinions expressed below are 100% mine and mine alone unless otherwise stated. Please do your own research before committing to buy a product or service as your opinions may vary. Christmas is a week and a day away as of today, which means we are well into the thick of Winter and everything Winter brings with it; snow and ice, cold temperatures (especially this year it seems), and of course colds, flus, and everything else that works to make a person feel miserable! Thankfully there are certain things we bring out to help combat the icky: drinking lots of liquids (water, water, orange juice, water), getting plenty of sleep, eating clean, and of course Airborne! "There may be no job more challenging to the immune system than teaching. Imagine a room full of unhappy kids. But one inventive teacher took it upon herself to find a solution that would support her immune system. She worked in collaboration with nutrition experts and herbalists to formulate a remarkable immune support supplement. Her ingenuity eventually led to Airborne® products and what started as a one-off solution is now the go-to brand for immune support across the country." 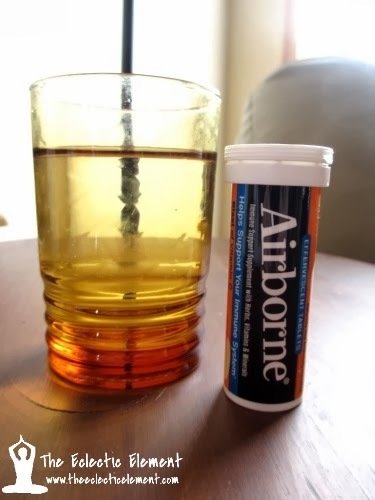 Packed with a unique blend of 13 vitamins, minerals, herbs and a lot of vitamin C, Airborne is a perfect way to support your immune system! While my family and I are use to their Airborne effervescence tablets, I didn't realize you can also purchase Airborne in many other different forms, including gummies for both adult and children, chewable tablets, lozenges, plus energy (mix with water), hot soothing (tea form), and on-the-go (also mix with water). Not only does Airborne produce several different forms of products for every type of person, each product comes with different refreshing flavors! It just depends on what product you prefer; for example the effervescence tablets come in 4 flavors-Zesty Orange, Very Berry, Lemon Lime, and Pink Grapefruit-whereas the lozenges only come in Berry. For this particular review I was sent a 10 count tube of their Zesty Orange citrus flavored effervescence tablets. My family and I are very familiar with this product and swear by it to help aid our immune systems whenever we feel a cold or flu coming on! Ironically I had just started feeling a little off with whatever I caught when this arrived through the mail. Can you say perfect timing or what!? I was never really the biggest fan of the effervescence tablets from Airborne but over the years I've grown to like and enjoy the taste of them whenever I need that little extra boost. The only thing that I still have issues with is their texture; when mixed with water, the tablet has a little bit of a gritty texture. Other then the texture, these tablets are perfectly easy to take, have a refreshing flavor, and are actually good for you unlike some of the "immune boosters" on the market these days that advertise being healthy but have too many additives that ultimately work to defeat their intended purpose! Whether you've tried Airborne before or are new to the immune support supplement, everyone can use a coupon to try it out! Click Here to enjoy $1.00 Airborne products while supplies last. I think I really need to try this. I've been seeing it around. My husband takes Airborne regularly. He swears by it! WE use this too and it really does help keep those pesky colds away! I've never taken Airborne before, but I hear that it really works! I haven't heard of the Airborne drinks. 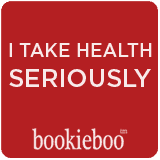 I have tried other similar things to it - but I should look for this one next time I feel a cold coming on. I've ben an Airborne fan for years. They have a kids version too that I give my kids. We use Airborne, especially this time of year! i use airborne already. but i didn't have a coupon- thanks!! I so need this during the winter months! I am with you on the texture but that aside it works so well I can handle the texture. I rely on Airborne when I am traveling. I definitely need to use this more in the winter. I love this stuff. Definitely need to step it up, though. NOT a good time to get sick!! I definitely need to try this. I need to look into this for our family! Sounds great! I keep some of this stocked in my medicine cabinet. I have heard of this, but have yet to try it. I think it is about time I do! This is such a bad time of the year for colds and coughs.